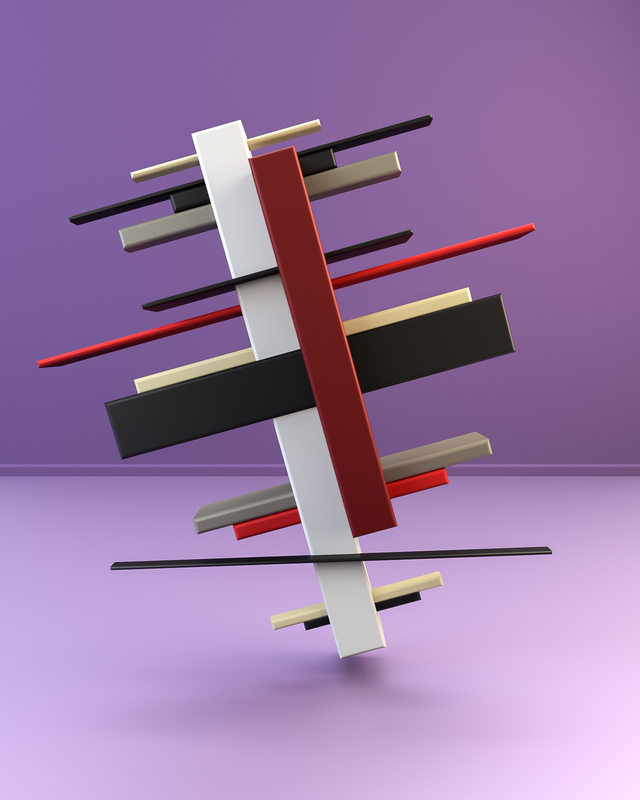 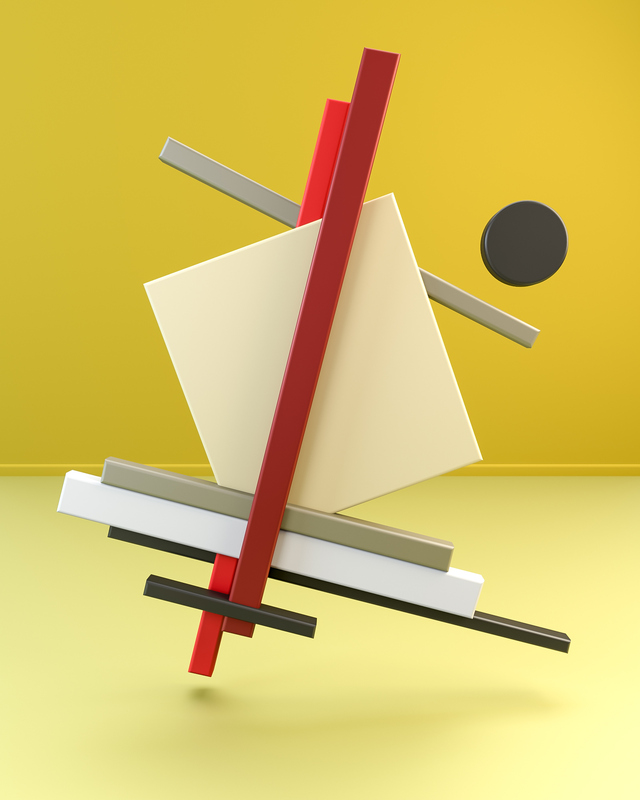 Let’s kick it off with 3D rendering from the mighty folks from RoomCR6 with their series entitled: Suprematism & Constructivism. 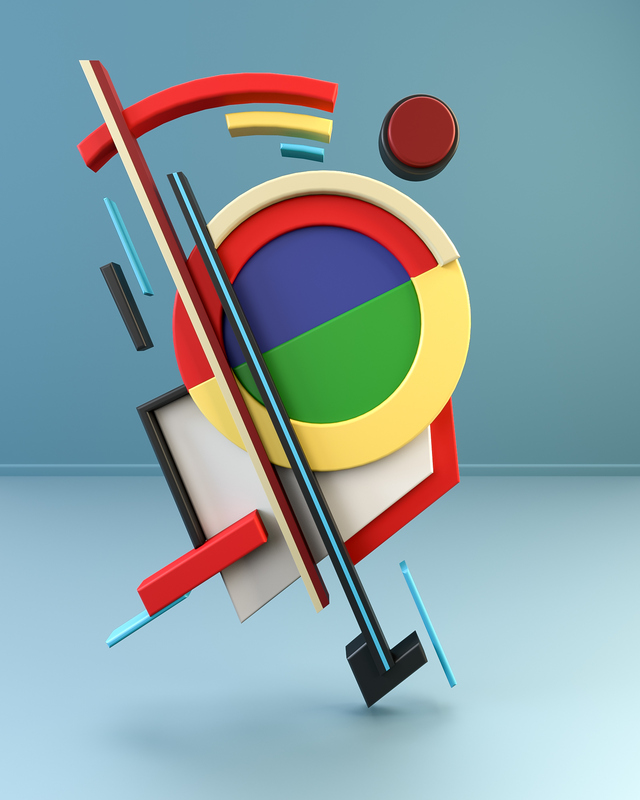 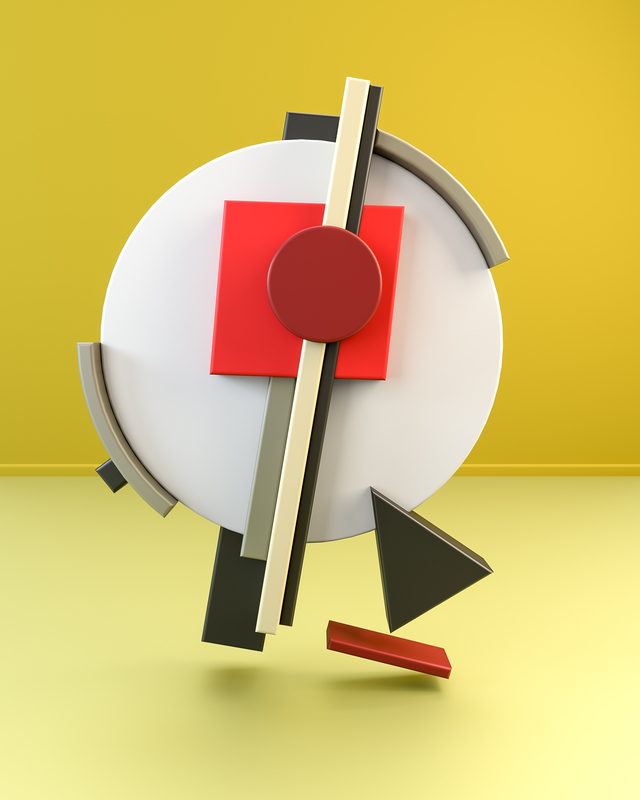 Based on their fascination with Russian Art, they have been playing with Cinema4D and Arnold Render to bring the Suprematism Art movement from 1915 back to our modern time but by keeping its fundamental roots with circles, squares, lines, rectangles, and with a specific colour palette. 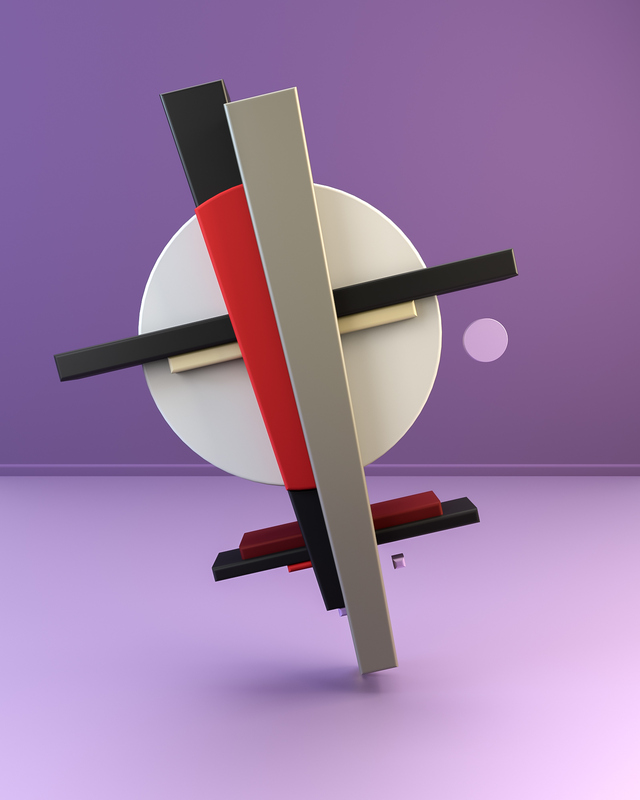 The term Suprematism refers to an art based on “the supremacy of pure artistic feeling” rather than on visual depiction of objects. 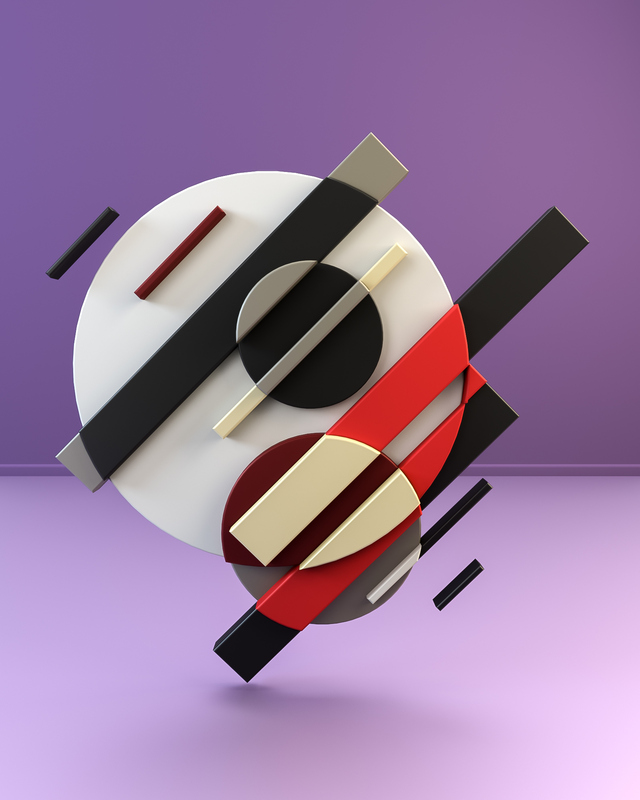 RoomCR6 is design studio based in London, UK. 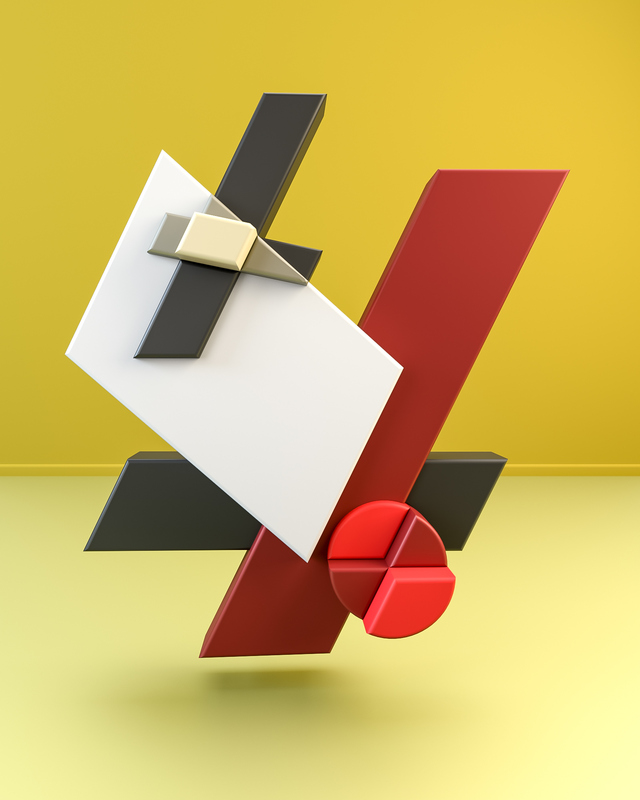 Founded by Hashmukh Kerai & Paul Stayt; they work mainly in Motion Graphics, Digital Design and Film Production. 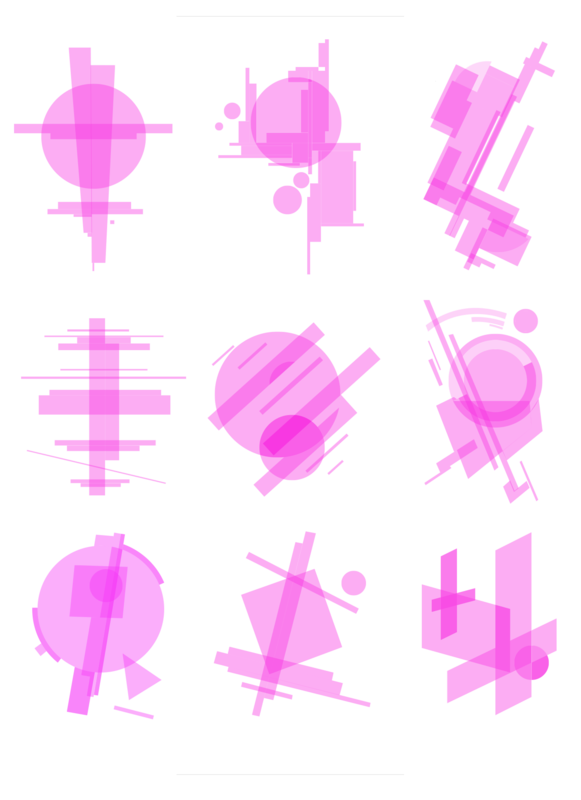 But they also work on self-initiated projects too, kind of like this one that we are featuring now. 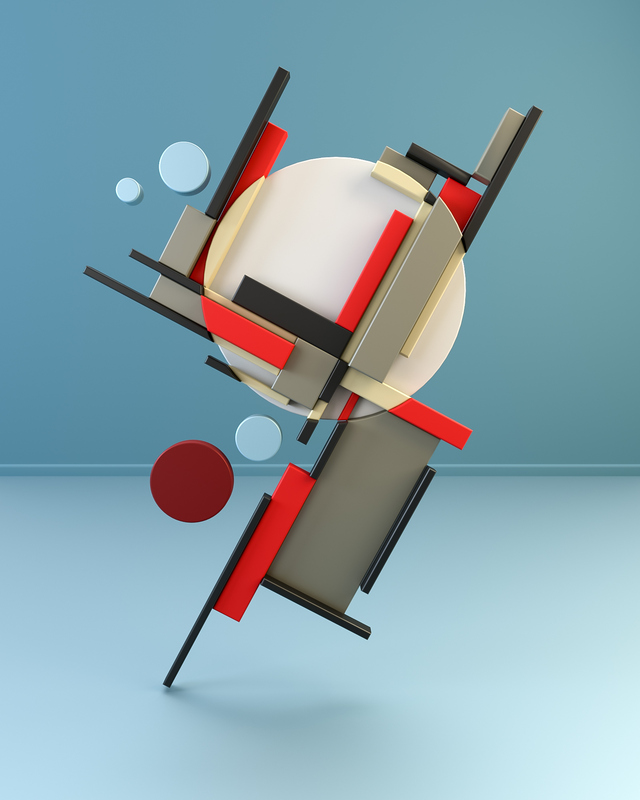 Suprematism was an art movement, focused on basic geometric forms, such as circles, squares, lines, and rectangles, painted in a limited range of colors. 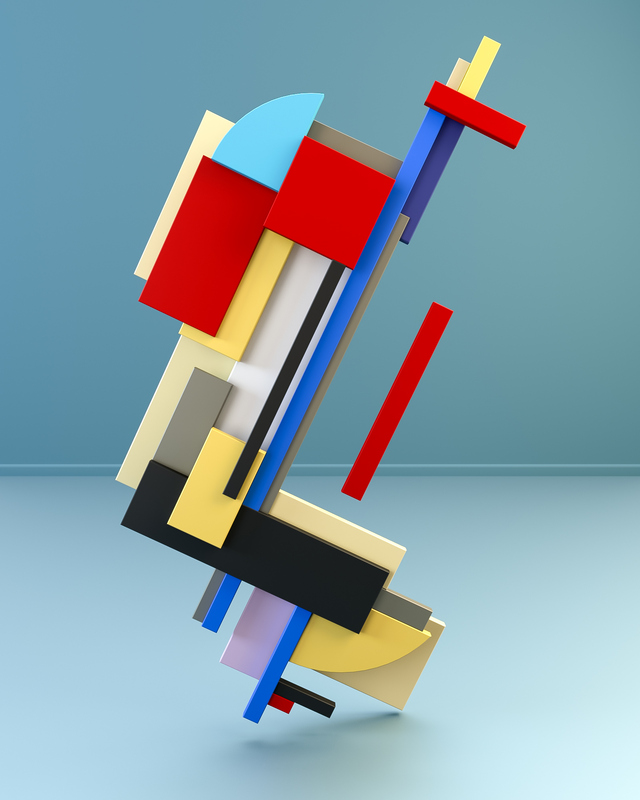 It was founded by Kazimir Malevich in Russia, in 1915.